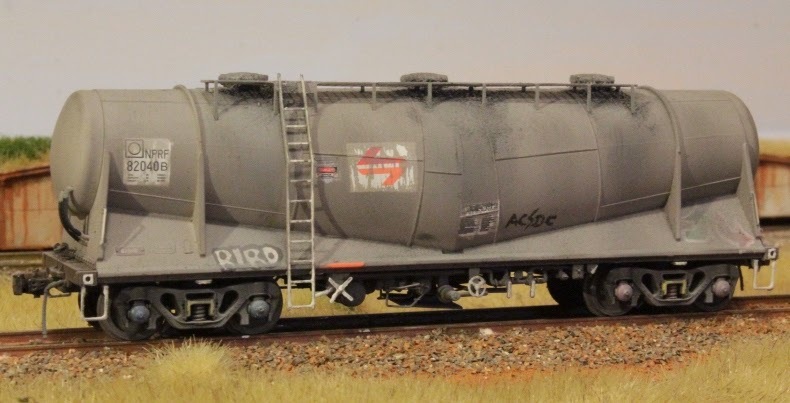 The Musings of a NSW modeler...: More Weathering! Just a short post today. 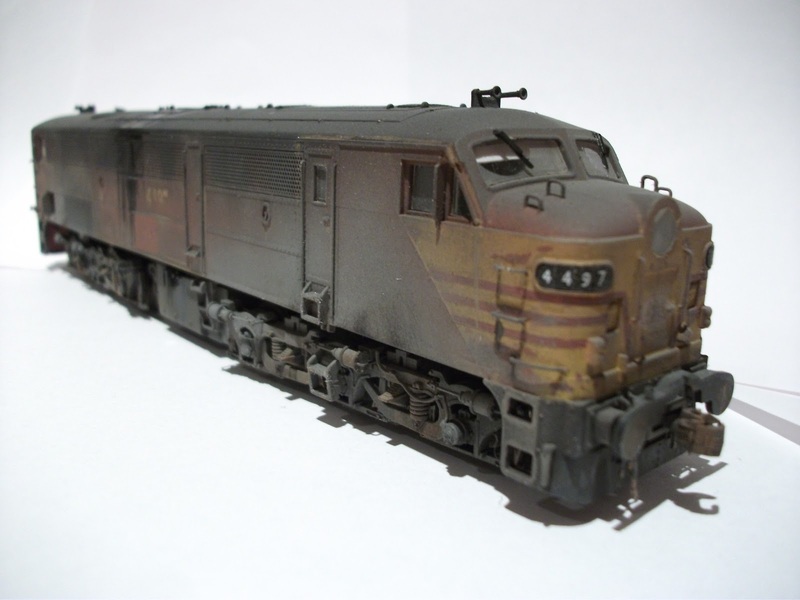 After recieving the chassis of 2 44 class of a customer I was able to finish some weathering for him. Here we have 4497 in reverse as it was drawing to the end of the early 90's just prior to sale from the SRA. 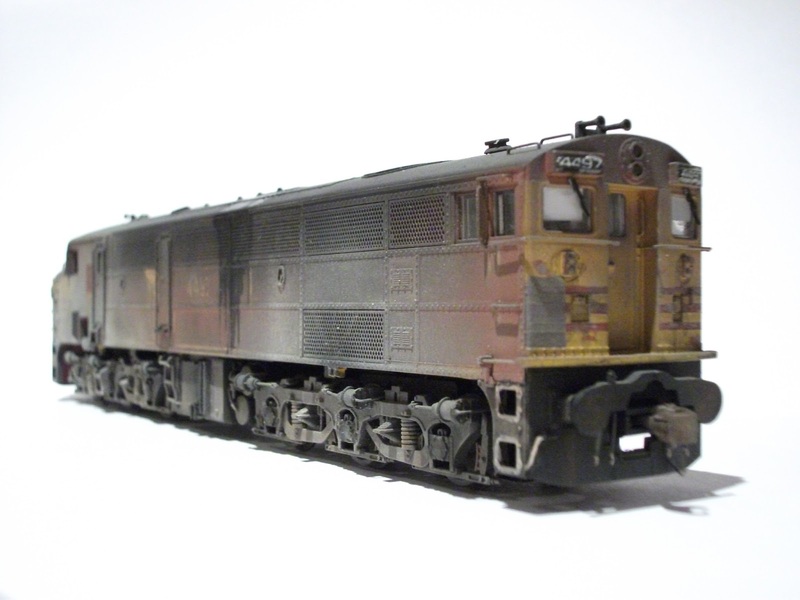 This model started out as 44100 Tuscan shell which I stripped, repainted, lined and decalled then weathered. As the Trainorama 44 is a nice model I only make a couple of mods, Including windscreen blinds and the fitting of KD 158 couplers replacing the stock overscale type 5's. Best get on with it, at the moment I have 5x 442's, 3x 44's and 2x 80's on the workbench to get through before the next order comes in. Nice work indeed Kyle. The paint work on some 44's, towards the end of the govt ownership, was almost "undestinguishable" (new word ?? )and you have captured this very well. Luv the oil build up on the sides, if you wish to vary things up a bit, some darker shades on the sides is safe to. Roofs on ALCo's always had a nice coat of "oil black". 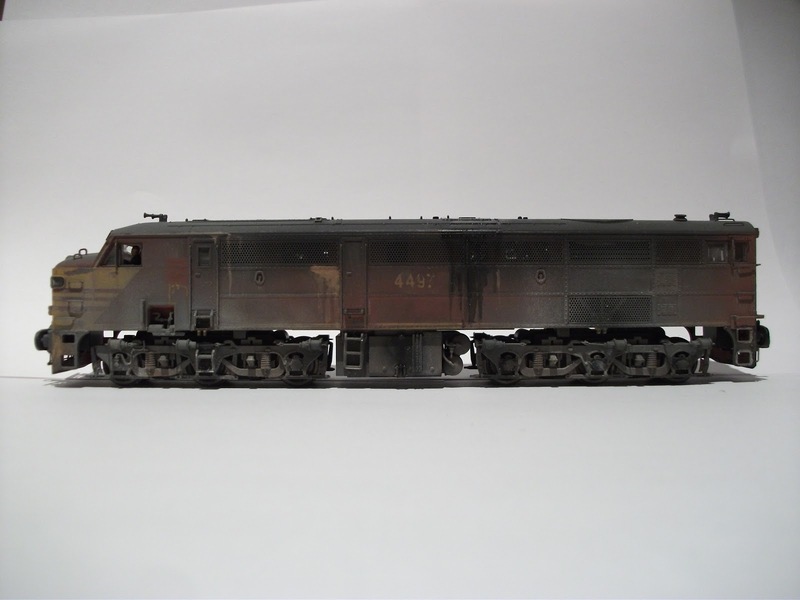 4497 looks like it has spent a lot of time in Maldon cement works or on ballast trains, good stuff ! The clean wiper patches on the windows looks terrific as well. Cheers for that Gary! Much appreciated. 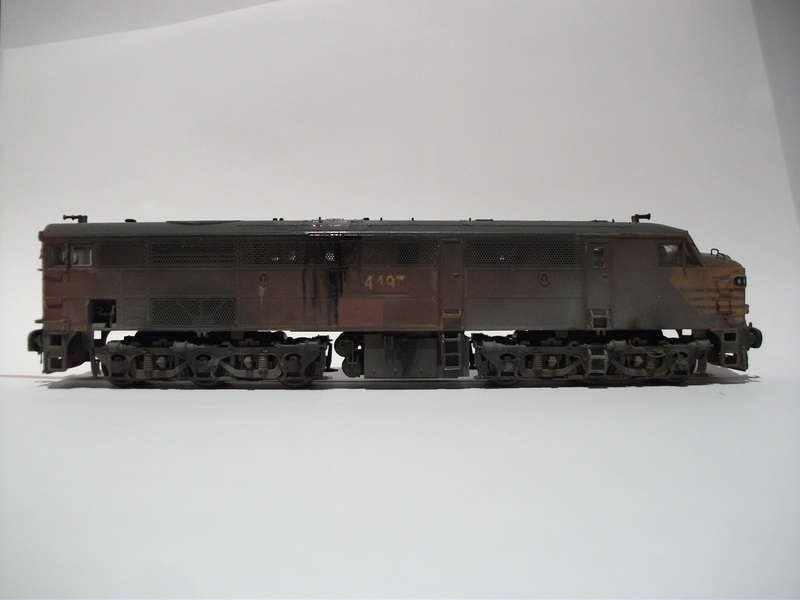 I will have to do a similar version of 4497 for myself now as this was a customers loco. I was quite please with the job i did on the windows, i tried a new technique using a 'date sticker'(circular dot)cut in half and stuck down where the swing of the wiper blade would be and then weathered over it.